Pilar Molina still tears up when she remembers how earnestly she prayed for her husband, Israel Resendiz, not to be deported. “I would go to the Catholic Church every Tuesday. I cried. I poured my heart out,” she said. 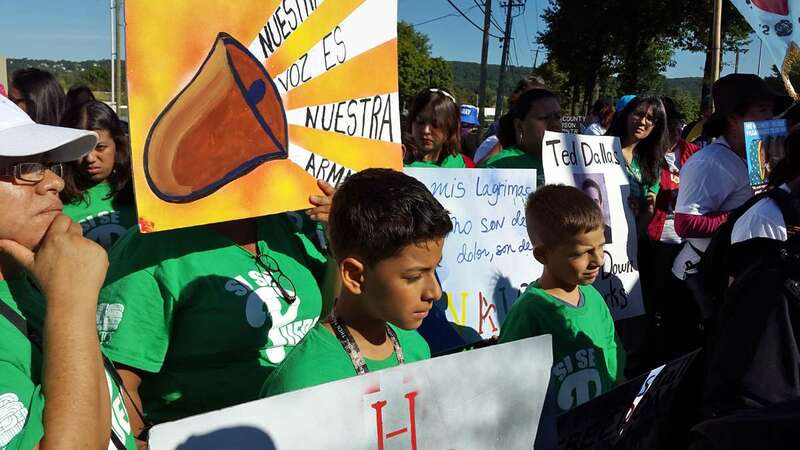 At the time, Resendiz was behind bars in York County Prison, after Immigration and Customs Enforcement agents picked him up outside of their tortilleria and grocery store in Norristown, Pennsylvania. 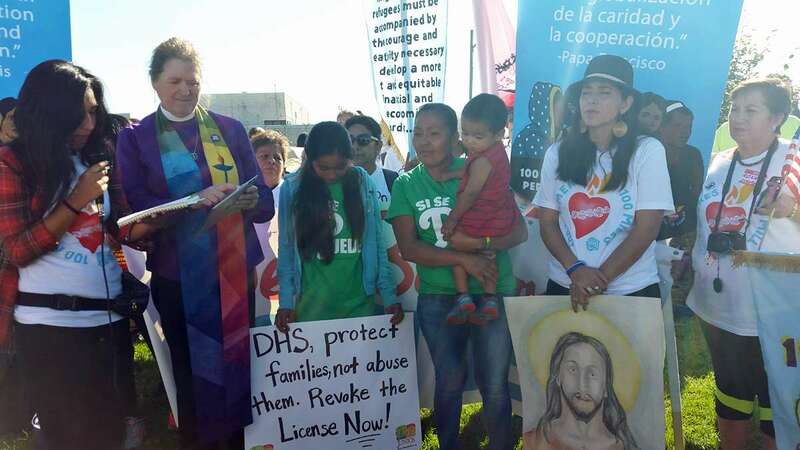 Standing in front of the detention center last week, she told a gathering of more than a hundred not to lose faith when their loved ones are jailed. Women from all across the United States listened raptly to her words before they set off on a march to Washington, D.C., to press for immigration reform. 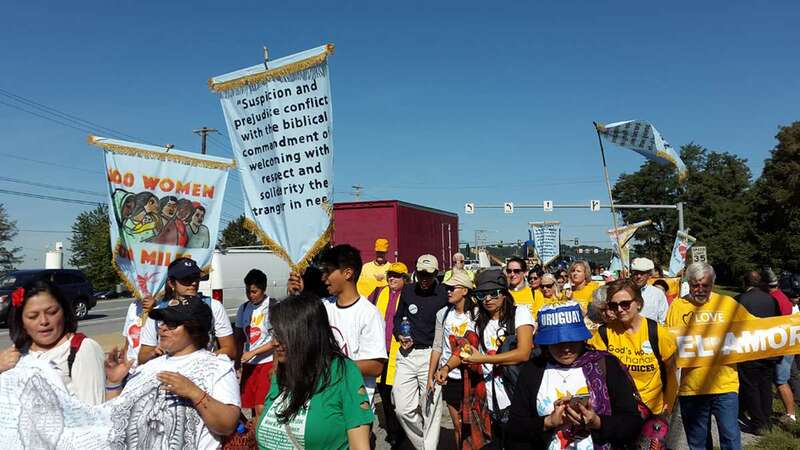 Molina started the march with them, but cut her journey short to make a speech before Congress in anticipation of Pope Francis’ address Thursday. Reached by phone after her speech, Molina sounded tired and not overly optimistic. “I told them my story, and some of them were moved, I guess. I don’t know. You can never tell with those people,” she said. She said the pope will have a better shot at changing policy. “He’s not a lawmaker, but a lot of people follow him,” she said. She and the dozens of marchers hope that Francis — who has implored European Catholics to take in Syrian refugees — will pressure U.S. legislators on immigration policy. Molina, who was born in Mexico, didn’t set out to become an activist. In many ways, her story exemplifies the story of 665,000 or so “dreamers” living in the United States. Those dreamers enter the country as minors and qualify for temporary protection from deportation through DACA or Deferred Action for Childhood Arrivals. In 2012, after President Barack Obama created this policy through executive order, Molina and Resendiz both qualified. They got driver’s licenses and credit cards in their own names. But, DACA doesn’t confer legal status in the way of a green card, and its protections are tenuous. 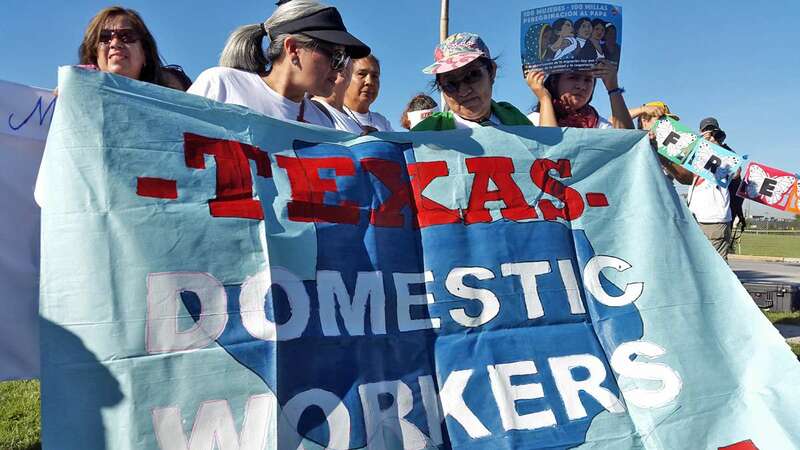 That message was driven home to Molina last year when Resendiz was arrested after a regular day at their tortilla shop. “He was picked up because a lot of people are cooperating with ICE, unfortunately,” said Molina. DACA does not allow for immigrants to cross the border, and Resendiz had been detained trying to re-enter the United States in 2013, after a visit to family in Mexico in the wake of his father’s death. On his second try, Resendiz made it back to Norristown, but that detention meant if found, he could be deported. In 2014, ICE sent him to jail in York County. In the following months, Molina tried everything she could to get him released. 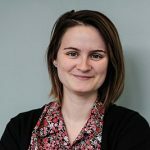 “We did vigils, we did a lot of things in front of the ICE office,” she said. She was arrested in Washington, D.C., for posting signs unlawfully. After five months, the authorities released Resendiz on bail, but not until Molina petitioned the court that their now 11-year-old daughter’s mental health was suffering. “She [had] threatened to kill herself, to starve herself, to cut herself because she wants her father back,” said Molina. The event radicalized the mother of two, and it also connected her with several local activist and church groups fighting for immigration reform. 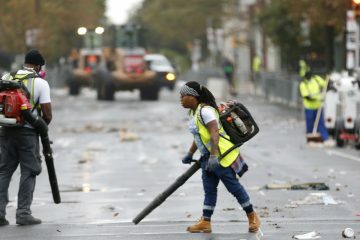 As a part of Juntos, a Philadelphia-based organization, her story has been added to a chorus of immigrant voices asking for change and opportunity. 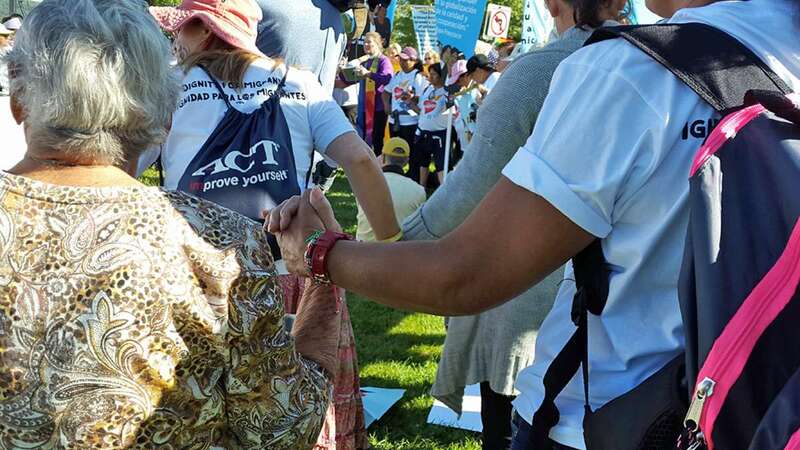 In York, the immigrant marchers were organized by We Belong Together, a group that unites women for “commonsense immigration reform.” Their march, called “100 Women 100 Miles,” will culminate in a vigil in front of the Basilica of the National Shrine of Immaculate Conception in Washington. 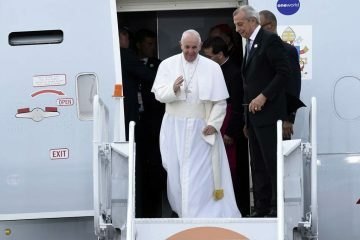 The pilgrims have invited the pope to participate. So far, the Vatican has not responded. Marcher Maria Orozco, 31, who traveled from Chicago with her 4-year-old daughter, Jocelyn, knows exactly what she would say to Francis if given the opportunity. Orozco, who is from Mexico City, said she crossed into the United States 16 years ago. “We have to do it by foot. That’s the only way,” she said, her voice quavering. When it’s Francis’ turn to address that same tough audience on Thursday, he’s expected to have some harsh words for U.S. lawmakers, according to Honduran Cardinal Oscar Rodriguez Maradiaga, a papal adviser. “Even here, the desert cannot be a tomb or a cemetery,” said Maradiaga earlier this year.